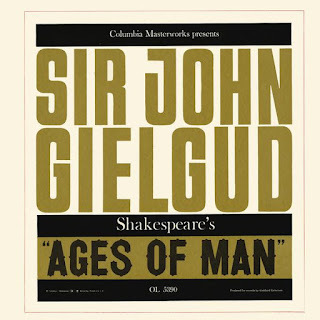 Sir John Gielgud will forever being seen as one of the best actors of all time and I’m sure many people will love to have this cast recording in their hands. But I’m not one those people. Don’t get me wrong, I like John Gielgud, but not only I’m a not a Shakespeare fan, I also don’t enjoy listening to this kind of recordings. Even when it’s a musical and it has too much talk between the songs I become impatient. So, instead of reviewing it, let me just tell that this is a truly historic recording. 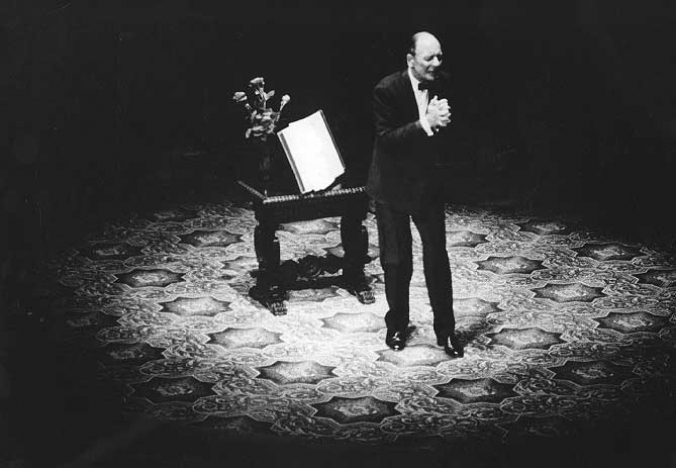 John Gielgud enjoyed a huge success with this one-man Shakespearean evening and won several awards with it. This recording was made in 1959, after his Broadway debut that gave him the Tony, and it’s finally available for digital download and in CD at Arkiv Music. The recording includes scenes from AS YOU LIKE IT, THE MERCHANT OF VENICE, ROMEO AND JULIET, MEASURE FOR MEASUE, HENRY IV, RICHARD III, JULIUS CAESAR, HAMLET, KING LEAR and THE TEMPEST. So, if you’re a fan of Shakespeare and of John Gielgud, I’m sure you’ll love this.